Approximately 1 oz. wildcrafted chaga mushroom (Inonotus obliquus). 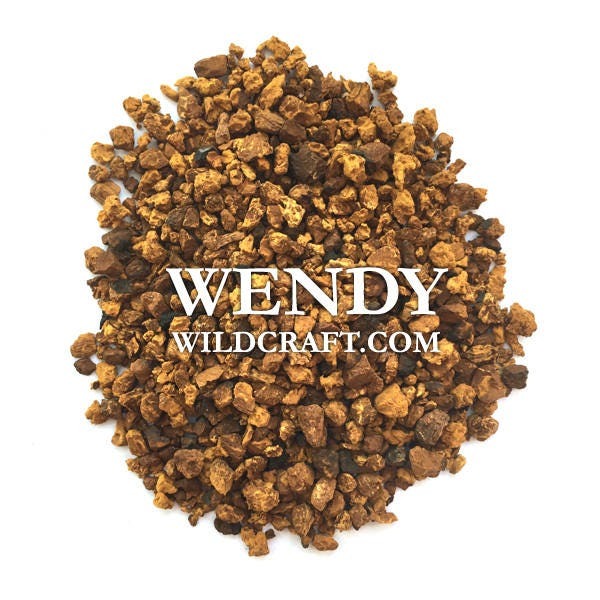 Chaga can be used in tea blends, tinctures, cordials, syrups, chai, and hot chocolates.